Matthew joined our team in January 2016. 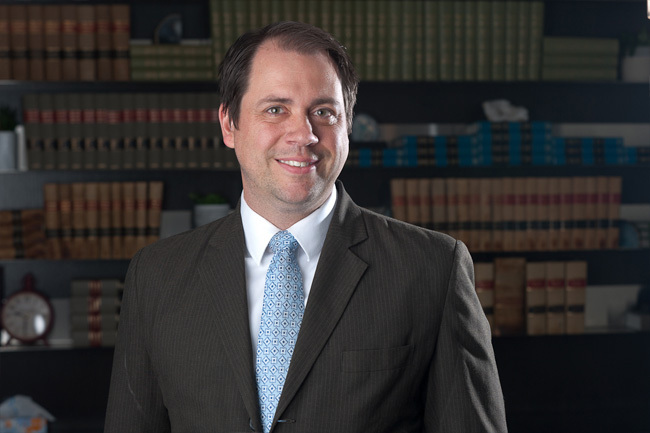 Matthew is an Associate Lawyer practicing family law, criminal law and general civil litigation. He has made appearances at the Alberta Court of Appeal on several occasions and has had the opportunity to work on a variety of unique cases. He is a committed advocate that prides himself on quick and efficient service and effective litigation in the courtroom. He also is committed to effectively communicating with his clients, as he strongly believes that a client has the right to understand what is happening on his or her file, and that such an approach aids in the public perception of lawyers and the justice system generally. For Matthew, law is a team effort between the client and the lawyer, which when performed well will yield a fair and just result that everyone can appreciate and understand. His growing practice includes clients in Edmonton (north, south, east and west), Fort McMurray and other locations in Alberta. "The best legal firm for many clients is not necessarily the one that is closest," notes Mr. Pagels. Our family law lawyers collaborate to help each other achieve the best result. When you retain one of our family law lawyers, you get more than a lawyer - you get a qualified legal team. For Matthew, one of the greatest challenges of family law is helping the client through to the end of their matter and protecting them from emotional and financial exhaustion. He welcomes inquires for an introductory consultation on any family law legal matter, ranging from prenuptial agreements and uncontested divorce to child custody and guardianship in Alberta. Learn more by reading "It Depends", Matthew's blog on family law. Our firm offers affordable rates for client's facing criminal charges. Matthew is particularly interested in charges of impaired driving, assault, and fraud, but has worked on a wide variety of cases as well. Everyone is entitled to a defence and a fair trial, a quality lawyer will ensure you receive both. The impact of criminal charges begins to affect your life from the moment of your arrest and can continue for the rest of your life. Some legal problems do not have experts because they are unique. One of Matthew's strengths is that he is rarely intimidated by taking on a case in an unfamiliar area of law. Over time, this attitude has given him experience in personal injury, contract law, constitutional law, and administrative law. Matthew's office has a long standing policy of never turning away litigants because their problem is unique or complex. He is committed to either finding the right lawyer for potential clients that reach out to him, or taking the case himself. Matthew graduated with a double major in English and Drama from the Augustana campus of the University of Alberta, and with a Juris Doctorate from the University of Alberta. He participated in competitive moots while pursuing his law degree. Prior to starting his legal career, Matthew was a teacher in South Korea and a certified nursing attendant. He was also a Director on the Board of Eldercare Edmonton for three years, an organization that remains very dear to him. He is happily married and has two beautiful children.